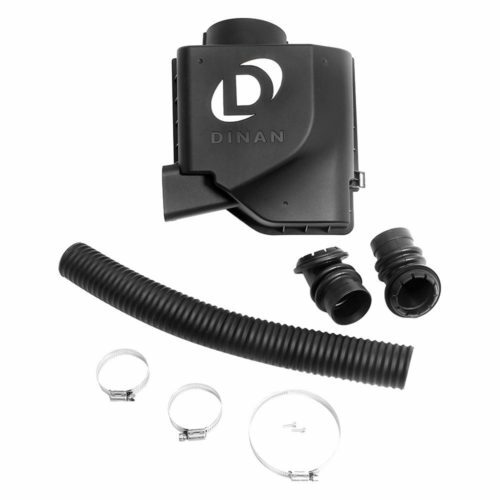 Dinan's High Flow Intake System consists of an injection molded replacement lid for the stock air box designed to increase overall volume and accommodate a high flow filter element for optimum intake air-flow. Dinan’s High Flow Intake System consists of an injection molded replacement lid for the stock air box designed to increase overall volume and accommodate a high flow filter element for optimum intake air-flow. 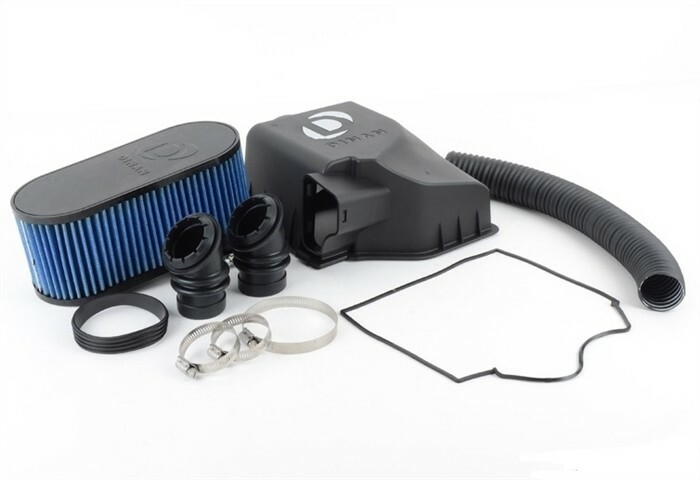 The lid is manufactured using a special composite material, chosen specifically for its ability to resist power robbing under-hood heat. 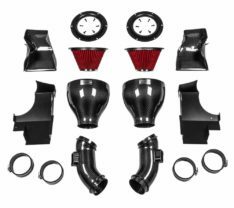 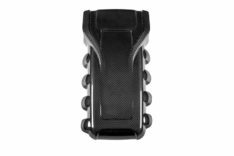 The lid also incorporates an O-ring, completely sealing the air box for maximum pressurization and further insulation against heat-soaking, optimizing performance under varying driving conditions. 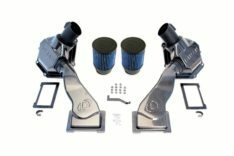 The System also includes a secondary intake duct that scoops up additional cool, oxygen rich air via the factory brake cooling duct, further improving performance as road speed increases.